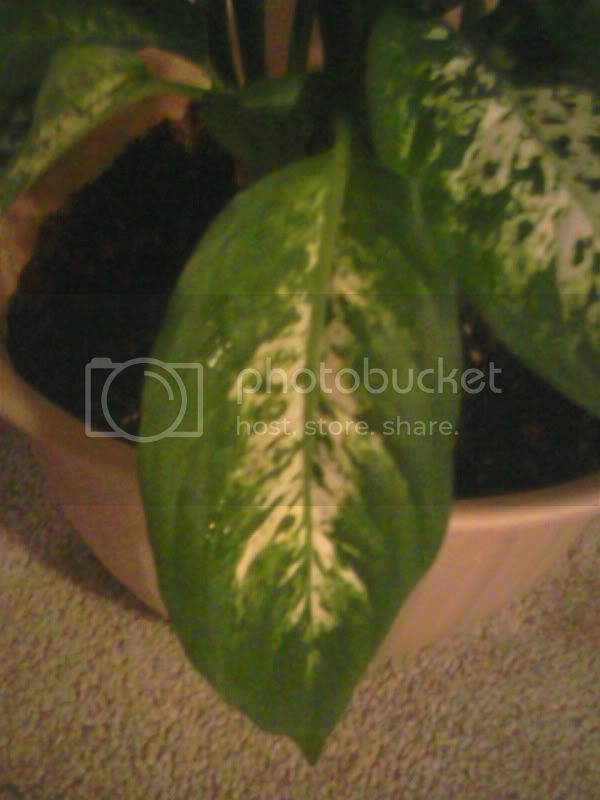 Dieffenbachia-What variety is this and does is looks happy? 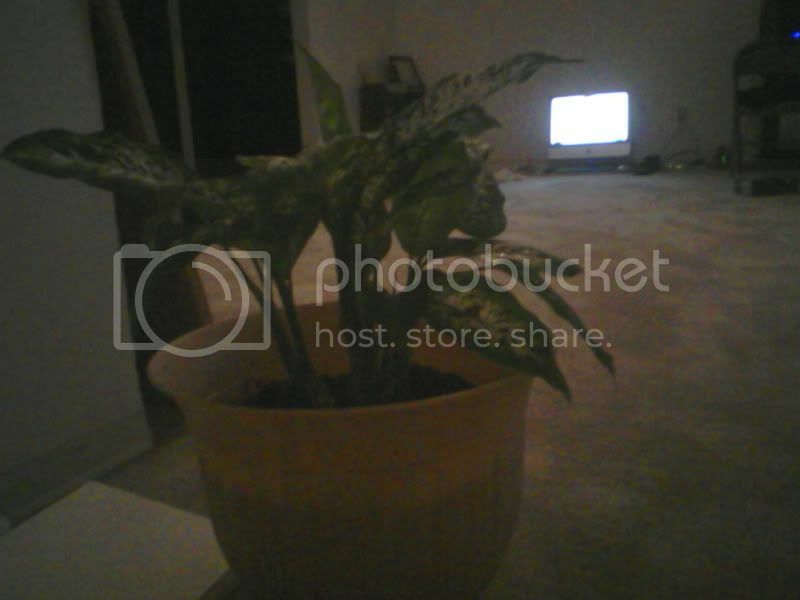 So last week I got this plant for my new apartment. It receives bright indirect light to the right of my window(which gets eastern morning sun),is misted about 5 times throughout the day, and is watered only when the soil is almost dry. I also live in western Washington,but have no idea how much moisture actually gets inside the apartment, as I don't open windows in winter! This is one of two plants I bought,and they're my first! I am quite scared that it might not be happy but I don't know what signs to look for. Below is a picture of the full plant. The lower leaves are drooping and I am wondering if this is normal. The below picture is a zoom-in on a leaf. I would like to know what type of Dieffenbachia this is,and if the waviness on the edges of the leaves are normal. There was also a break in one of the upper leaves,and I cut it without thinking about it too much. Here is a picture of my cut,should I go down deeper and do it differently? Any other tips for this plant would be greatly appreciated. Although I grew up in a house that was jam-packed with plants, my first plant, when I got my own home, was a dieffenbachia. I don't know what cultivar yours is. It looks somewhat like one called 'Tropical Snow', but I can't say for sure that's what it is. There are many, and the differences can be quite subtle. This is an easy plant to grow. In fact, it's so easy to start new ones that, within a couple of years, you might find them crowding you out of your home! I started with one, and after a few years, I had about 6 or 8, all starts off the original. Personally, I don't think you need to mist the plant. It certainly won't harm it any, so if you enjoy doing it, that's fine. I love diefs, myself, but in fact, they are sort of the "weeds" of the houseplant world. Their care requirements are few -- mainly don't over or under water it, and repot when needed -- and they are resistant to most pests. That's been my experience, anyway. You can trim the stub of that leaf a little closer to the main stem, if you like. It's fine as it is, but the plant might look a bit tidier if it were trimmed closer. It's entirely up to you. The leaves look fine to me. I don't see them as "drooping" at all. The newer, upper leaves will always be more vertical than the older, lower leaves. The slight waviness along the edges is normal. How would I re-cut it to encourage wide growth? I heard that was something to encourage for these plants,otherwise they get top heavy. Are these easy to propagate? 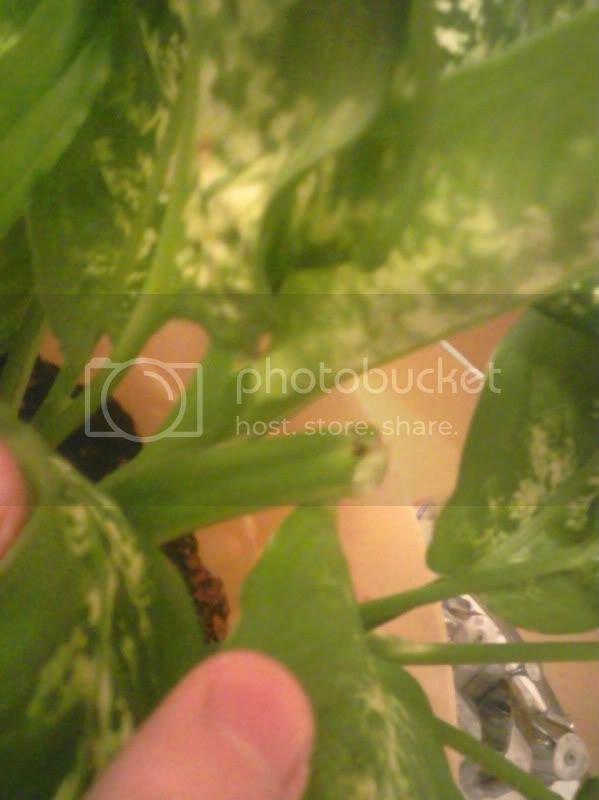 Just trim off a leaf and set it in soil/water for roots to sprout?Or perhaps a rooting hormone will be necessary? I'm quite fond of the overall look of the plant,and I certainly would like to have more once I'm confident in my abilities to take care of it. Indirect bright light is exactly what they get in the wild, so you're bang on there, and your water/mist regimen sounds good too. When it comes time to repot, consider the following mix: 25% orchid bark, 25% peat, 25% perlite, and 25% potting soil mixed with leaf mulch, with a dash of activated charcoal. This is very close to what the plants grow in in nature, and allows them enough air and space around their roots, which they seem to apprecaite. (Incidentally, this mix also works very well for most other Aroids, including Pothos, Anthurium, Philodendron, and Epipremnium.) Water should flow right through it, leaving the mix moist but not swamped. The cut is just fine too. Eventually the petiole (the leaf stem) will dry up, at which point you can just gently pull it off the plant to expose more cane. For "wide" growth, you'll need to propagate and then plant a number of canes in the same pot (they support each other that way). The plants will also "pup" - produce offspring vegetatively; those can simply be separated from the mother and potted up separately. They don't, however, propagate from leaves. It's the one drawback of Aroids. So the trimmed stem turned into soft yellow mush and I peeled it off to reveal a healthy dark green "nub" where a new stem looks to be taking it's place! It's sprouting leaves all over the place too, it currently has around 6 closed leafs and I think I'll be seeing two of them start to unravel tomorrow. Very exciting! Thank you very much for the help. I feel so relieved now! What variety larkspur is this please ?